Veggie lovers will appreciate that some of the more offbeat veggies are featured players in the pages, including kohlrabi, fiddleheads and daikon. There is also general information about gardening, including brief descriptions of Victory Gardens and xeriscaping. The illustrations are so detailed and fine that they may make you hungry, and very possibly interested in trying out some new veggies. 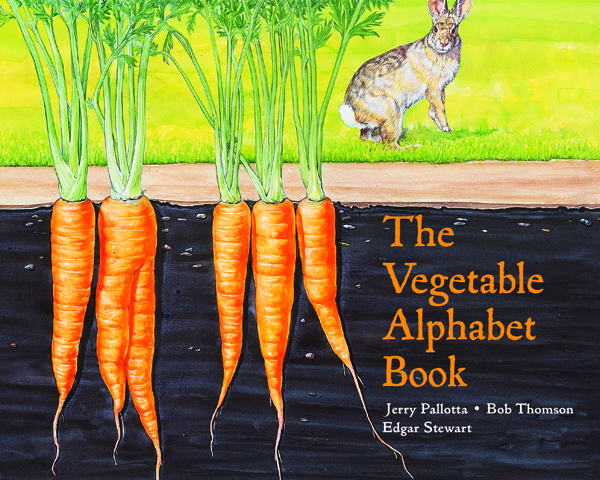 This is a beautifully done alphabet book which is both informational and very fun to read with preschoolers and early elementary kids. 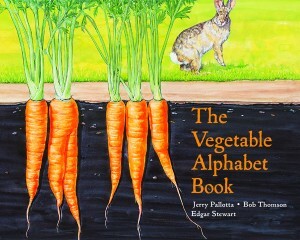 As spring planting season approaches for much of the U.S., this is a great choice if you are looking for a book to help celebrate gardening and welcome a new cycle of opportunities to eat yummy fresh, nutritious vegetables.